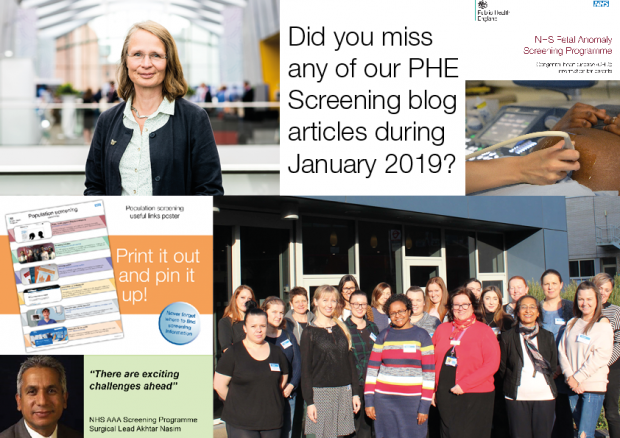 January 2019 was very busy for the PHE Screening blog as we published 14 articles during the month. In case you missed any of them, here is a quick round-up of what we blogged about along with links to the full articles. 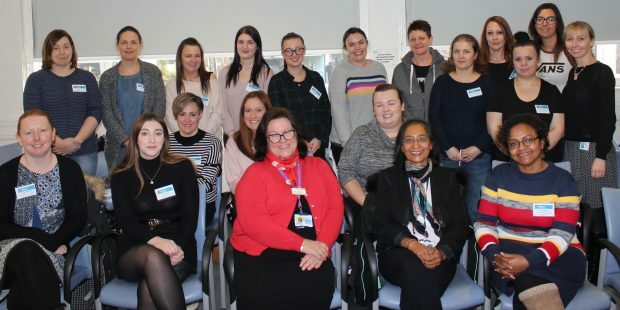 Dr Sian Taylor-Phillips, a tutor on the ever popular health screening masters module at the University of Warwick, talks about the course and what it offers. You can now print out a useful A4 poster to remind you where to go for information related to population screening in England. Director of Screening Professor Anne Mackie explains why it is vital that healthcare policy makers do not risk undermining or overlapping with the work of the NHS population screening programmes in England. Annual key performance indicator (KPI) data is published for the screening year 1 April 2017 to 31 March 2018. Dr Caroline Rubin encourages doctors to apply for a new training programme in breast disease management to help boost the screening workforce. PHE Screening is supporting a national campaign to attract mammographers back into breast screening. The NHS Breast Screening Programme publishes new guidance for clinical nurse specialists working in breast screening. A new apprenticeship gets under way in London to help address a breast screening workforce shortage. Where to go to find information about cervical screening following the closure of the extranet site. Rob Music, chief executive of Jo’s Cervical Cancer Trust, urges as many people as possible to get involved in Cervical Cancer Prevention Week. Akhtar Nasim and Tim Hartshorne are appointed National Surgical Lead and National Imaging Lead respectively of the NHS AAA Screening Programme. Annual AAA screening data for England published for the screening year 1 April 2017 to 31 March 2018. Reporting on successful antenatal and newbown screening education and training sessions run for health visitors in Lancashire. We have published a new leaflet to provide information and support for parents whose baby is suspected of having congenital heart disease following a mid-pregnancy scan.